One of the more common questions I get asked by teachers and leaders in English-medium schools is, “How should we respond when questioned about why we are having a Māori whānau hui or a Māori celebration?” The question I assume, arises out of concern for the ‘Māori-only’ part and not for the hui or celebration part. Equally I have heard this question asked in relation to cultural sports teams, Māori seats on boards or councils, in fact pretty much anything related to Māori being Māori in traditionally non-Māori spaces and places. There’s no doubt that this is a question worthy of a well considered and confident response, so this post will share some possible responses. I encourage anyone who is grappling with this to take these into consideration and then formulate your own response – a response appropriate for your community, your whānau and tamariki, and that aligns to the vision and values of your school. Before I share these responses though, I can’t help but pose my own questions. Like, why might Māori wanting to have their own hui or celebration be perceived as some kind of preferential treatment? Would the same be considered of say a group of people who shared the same religious beliefs or sexual orientation? What is really beneath a question like this? How do societal norms and cultural bias influence a person’s beliefs and motivation to ask this question? Lastly, why is a group of people, simply wanting to live as who they are, perceived to be a threat to others? Is it just that anything outside of the ‘norm’ and dominant culture is a threat? By contrast, a ‘Pākehā-only hui’ is probably not going to be received well in today’s climate. However, what about when there are hui that happen to have no Māori in attendance? Does its relevance get questioned? Does it get called off until Māori can attend? No. It’s more likely that very few people even notice and that it continues as ‘normal’. Why? Because the dominant culture of Aotearoa is Pākehā so hui without Māori representation happen on a regular basis. Hui where, I might add, often decisions get made that will impact and influence Māori. Perhaps a more positive way to spend our time would be to begin to question those hui more often so that we ensure we are being fair and equitable to everyone. So maybe the first response to the question “Why do Māori get their own whānau hui or celebration?” needs to be “Why do you feel Māori shouldn’t have them?” Let’s explore some more reasons why it’s important for schools to empower Māori to have their own hui and celebrations. Many Māori whānau live away from their ancestral homes – their tūrangawaewae. It can be difficult to be away from whānau, and it can be even more difficult to live as Māori in communities of very few Māori people. 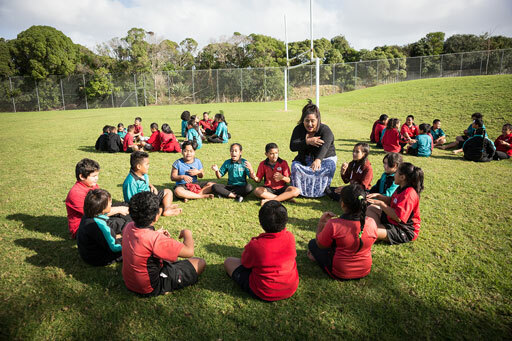 Schools have an opportunity to create spaces for Māori to connect with each other and to support each other in Māori ways. I was at a Māori whānau hui once where someone spoke about growing up and not being proud of their Māori heritage, but then meeting other whānau through whānau hui had a positive impact on their own cultural confidence. I’ve heard of other whānau hui where new initiatives have been established such as whānau Te Reo Māori classes for the wider school community. Some of my closest friends I met at a school whānau hui. Schools have a powerful opportunity to provide a platform for connecting Māori with each other, where they can share their aspirations, fears, knowledge, tikanga and Te Reo with each other for the betterment of all. Why wouldn’t schools want to create such amazing opportunities? In essence, Māori achieving success as Māori means Māori students being successful in ways that are unique and important to being Māori. It’s about our tamariki being empowered to be who they are, by learning in, through, and about their language culture and identity. If Māori students are empowered to have such success, it deserves to be celebrated and acknowledged in a Māori way. These tamariki are Māori and in many cases they have succeeded as Māori inside the ‘white spaces’ and in a system that is not always conducive to or reflective of who they are. Māori students deserve to be acknowledged and celebrated in a Māori way because it’s their right – to be Māori, act as Māori, achieve as Māori and succeed as Māori. Article 2 of Te Tiriti o Waitangi is Rangatiratanga. In essence, article 2 is an agreement between the Crown and Māori as Tangata Whenua of Aotearoa, that Māori would be empowered to be and live as Māori. Furthermore, Māori would have the power to act and the power to make decisions for themselves as a people – Māori will have self determination. To assert one’s rangatiratanga; is the act of being Māori in all that it encompasses, and to have decisions made by Māori for Māori and in the best interest of Māori. “It is about Māori acting with authority and independence over our own affairs. Tino rangatiratanga is a practice: living according to our tikanga, and striving wherever possible to ensure that the homes, land, and resources guaranteed to us under Te Tiriti o Waitangi are protected for the use and enjoyment of future generations.” (Hitchcock, 2018). Māori whānau hui in schools, or Māori celebrations such as a graduation perhaps, is a right afforded to Māori under the partnership agreement, Te Tiriti o Waitangi. Let’s be explicit here, it’s a right, not a privilege. As teachers and leaders in state-funded schools are representative of the Crown, they are obligated to uphold the assertions from the Crown to Māori and their responsibilities under Te Tiriti o Waitangi. For school leaders or teachers to decide not to create these opportunities or even worse, disallow Māori this right, they would quite simply be in breach of Te Tiriti o Waitangi. Māori whānau hui allow our Māori whānau an opportunity to contribute to the decisions that impact the education of their tamariki. It’s so important that our whānau are empowered to assert their rangatiratanga in our school communities. “Māori are tangata whenua, one of the Treaty partners, though some people still want to dispute that. That partnership gives Māori mana whenua rights and responsibilities. We are not just another member of our multi-cultural society. For Māori, this is our homeland, the only place we can speak our language — an official language — since 1986. The only place we can live our cultural beliefs, to just be Māori. Other cultures can return to their homeland to speak their language, to live within their culture.” (Wano, 2016). Māori have their own tikanga – ways of doing things, customs and values. Tikanga plays a vital part in the act of rangatiratanga – being and living as Māori. For our Māori whānau to come together for a hui, to discuss an important kaupapa (topic) such as education for their tamariki, it is vital that these hui are grounded in tikanga Māori. 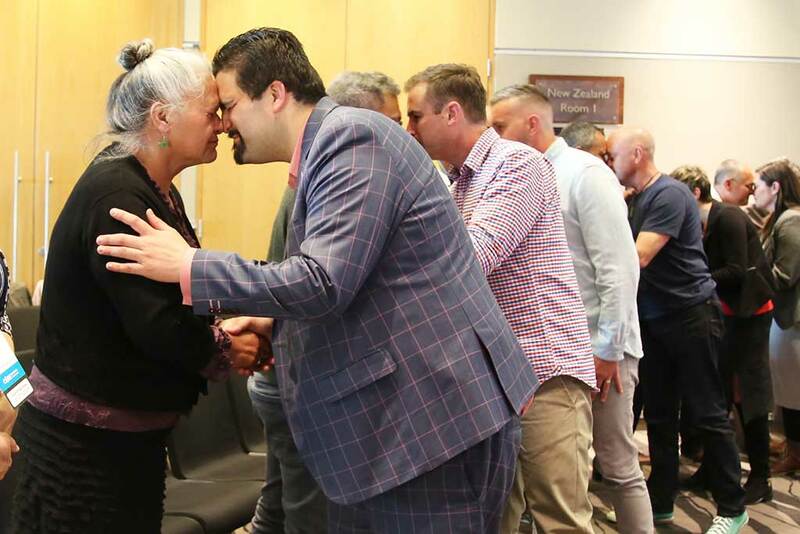 This would mean that the meeting or celebration follows similar processes to those our ancestors would have engaged in during wānanga (debate, discussion). A hui steeped in tikanga Māori and Te Reo Māori may not be inclusive to non-Māori and nor should it be, it’s intended to empower Māori to be Māori. 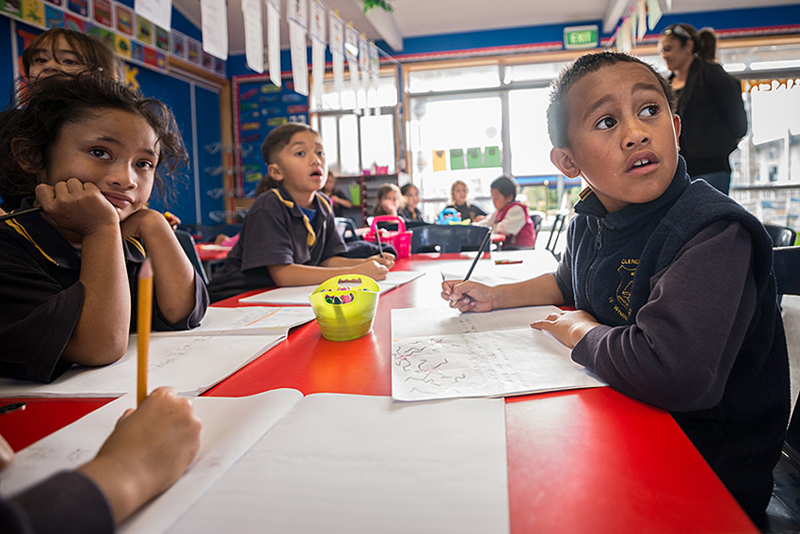 Many Māori parents and whānau attend many school-related meetings, celebrations and events that are not steeped in tikanga and Te Reo Māori, and so creating opportunities for this to occur for Māori is vital to ensuring that our whānau and tamariki feel connected to our schools. It’s important that Māori see themselves reflected in the way things are done in our schools, and that being Māori is considered an asset and something that is worthy of celebrating. Māori celebrations, Māori hui and in fact any enactment of tikanga Māori and kawa (protocols) in schools is an huge improvement on mono-cultural ways of doing and being. Put simply, want to add some colour to your school practices? Then add some bicultural colour and watch your tamariki bloom! Article 3 of Te Tiriti o Waitangi is Ōritetanga / Equity. The enactment of Ōritetanga in schools, should look like the equitable representation of things Māori and things Pākehā, our bicultural heritage. In other words, 50-50 representation of things Māori and Pākehā in our physical environments, our learning programmes, our language, our resources – in everything. We are certainly not there yet, and to be honest we may not get to 50-50 in my lifetime, but I would like to think that we are always working towards improving equitable outcomes for Māori in schools. 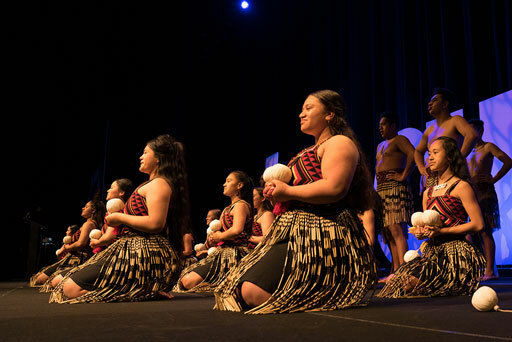 Perhaps creating opportunities for Māori whānau hui and Māori celebrations or events during the school year is one way schools can truly value and celebrate our unique bicultural heritage. I hope there are some words of wisdom in this post for many of you who may have been on the fence about Māori hui or celebrations. Māori students walk in their mostly non-Māori schools every single day. Any opportunity schools have for ensuring the language, culture and identity of Māori is protected and revitalised, is one they should take. This is for the betterment of all of us in Aotearoa. Our bicultural history and beautiful indigenous culture is what makes Aotearoa the very best place in the world. Let’s ensure we are putting forth into the future the very best tamariki the world has ever seen! ‘Contentment above, firmly rooted below.’ Those with a good family foundation and proper grounding in their own culture and heritage will find satisfaction and contentment in life. Mead, H., & Grove, N. (2003). Ngā Pēpeha a ngā Tīpuna / The sayings of the ancestors. Wellington, New Zealand: Victoria University Press. 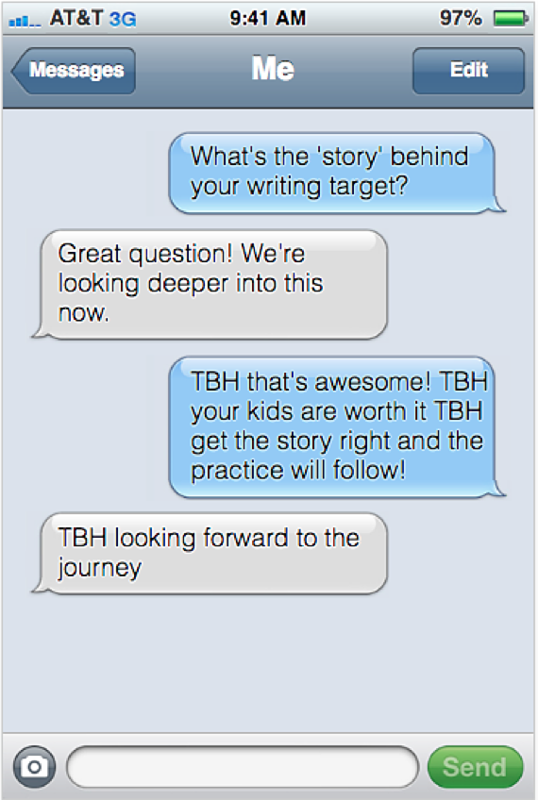 TBH – Māori boys’ writing may not be your target! It’s the time of year when many schools are considering their achievement targets for the coming year — analysing data; having discussions with staff — and thinking about how they can improve educational outcomes for all students. To be honest, we know that Māori students, in particular Māori boys, are sadly often overrepresented in the tail end of our educational achievement curve. As such, we often find them in starring roles in many school’s achievement targets. 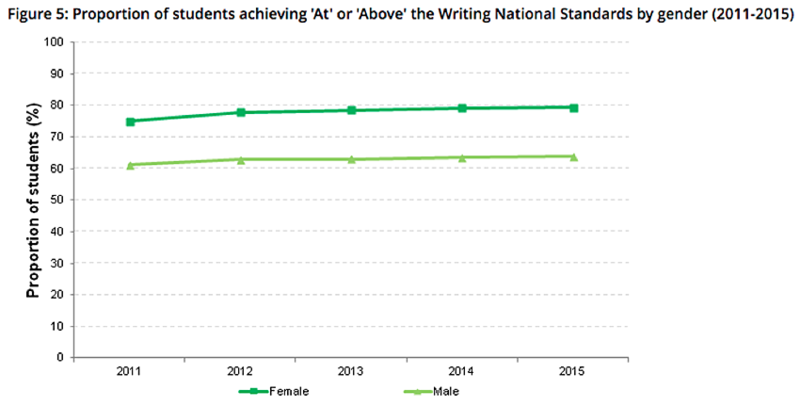 It appears that many of our Māori boys are underachieving across the board, and most notably in writing. More importantly, they appear to be achieving at a substantially lower standard than their female classmates, and most certainly in comparison to Pākehā/European students of their same age, and in the same learning environments. So, it stands to reason that we must have achievement targets aimed at improving the achievement of Māori boys in writing, doesn’t it? Or…is there more to this story? [IMAGE Mail-tbh] which roughly translates to — ‘If you like this post, I will send you (via Facebook private message) a list of the honest things I think about you’. In short — warm fuzzies. Well, perhaps not always warm, but they appear to be mostly positive affirmations in typical Gen Z lingo. In my eyes, this phenomenon is truly amazing and it really does warm my heart. What other generation has ever done this? My own Gen Z teen has allowed me to share with you all a couple of the many hundreds he has in his inbox. All of them kept, and all of them special to him. Now, it might be that some, all, or none of these statements are true for our Māori boys. BUT, my wondering is this: How do you know? What’s the story behind your data? 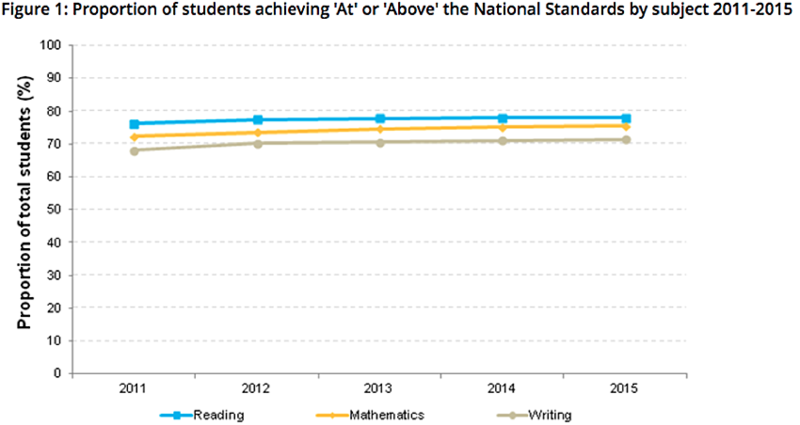 Analysing achievement data is a no mean feat. It takes perseverance, tenacity, and, most of all, determination to uncover your story behind your data. Each school will have their own version of events with determining factors and influences. How can we discover what our data is revealing to us? I would advocate for an inquiry into your data that includes everyone’s voices — especially the voices of the stars of the show — our students. More information on inquiry may be found here. If we really want to know what’s going on for our Māori boys in class, we need to ask them. Not just once, but repeatedly. In open, safe, and respectful environments. Most importantly, we need them to know we will hear them and we will act on their ideas, opinions, and honest reflections. Just like how they know when their mate has read their TBH statements, our kids know the difference between when they have been listened to and when they have been truly heard. Ask the tough questions when analysing your data. What assumptions are we making? Whose voices are included or not included? What don’t we collect data on? TBH you might feel slightly uncomfortable on the journey to discovering your story, but it’ll be worth it! All the very best views can be seen from the top of the mountain! What’s the data really revealing? If non-Māori students in your school are achieving comparatively better than Māori students in writing, and they are all sitting in the same classes exposed to the same teaching practices, what might be the real reason our Māori boys are struggling with writing? 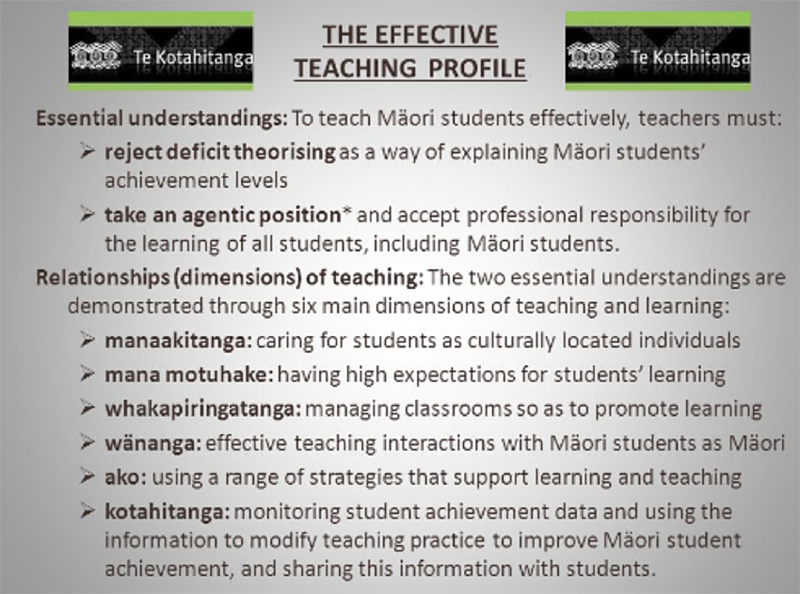 Russell Bishop’s work in the Te Kotahitanga project developed the Effective Teaching Profile. In his research, Russell discovered that the largest positive impact we can have on Māori student achievement lies in the hearts and minds of their educators. High expectations; a genuine ethos of care; effective personalised teaching strategies; and supporting the success of our Māori students as Māori, are all essential ingredients to raising achievement for Māori students. With this in mind, when considering the professional development needs for your school in order to meet your target of raising achievement for Māori boys in writing, perhaps we need to look past the data and consider the story behind it. It might be that the answer doesn’t exclusively lie in developing our writing programmes. Could it, in fact, be that the more pressing need is to develop the Culturally Responsive practices of our teachers and schools, and further affirm our status as treaty partners. This is the mantra of the He Kākano programme. Put simply, I think this means that if we create learning environments that are conducive to Māori students, they will be conducive to everyone. Why? Because we are really just talking about great relationships with students that will inform the way we teach and support each and every one of them — responsive practices. Furthermore, if we are wanting to meet the needs of all of our students in a holistic way, then culture, language, and identity must be at the forefront. As you embark on your next data-crunching expedition, I encourage you to explore and discover your story. Critically analysing data is of the utmost importance, particularly when considering the professional learning needs for your school, and, more importantly, when considering what is best for the students in your school. Discover your story and set the right targets for your students. Focus on the things that will really make the difference for them. TBH they’re worth it. I live with a Generation Z teenage boy. Aged 16 and in year 12 at secondary school in New Zealand. He is Māori, ko Tainui, ko Ngāti Hauiti ōna iwi. He loves sport, food, music, and socialising (on repeat!) Like many teens, my Gen Z has struggled, and continues to struggle through the school system. On the occasion that I am able to entice him into conversing with me (in real time and face-to-face), I always find that he has lots of really inspired ideas and thoughts to share. About life, school, the future, and the world in which we live. So, with his permission, over four blog posts, I will share with you some of my Gen Z teen’s pearls of wisdom. So, who are Generation Z you ask? “They are your sons and daughters. They populate your neighbourhoods, their thumbs spastically banging out two-way conversations composed entirely of over-punctuated and under-constructed sentences. They may even work for you. 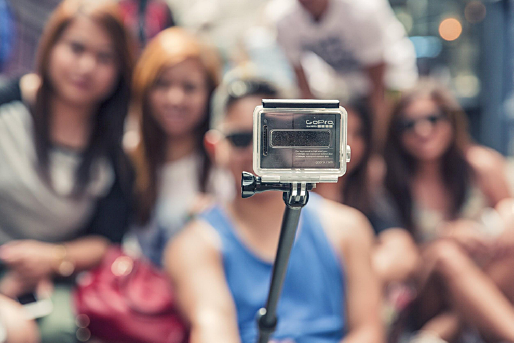 Eventually, you will work for them.” 1 Gen Z are the generation after the Millennials. Born anywhere from the 1990s through the 2010s or from the early 2000s to around 2025. 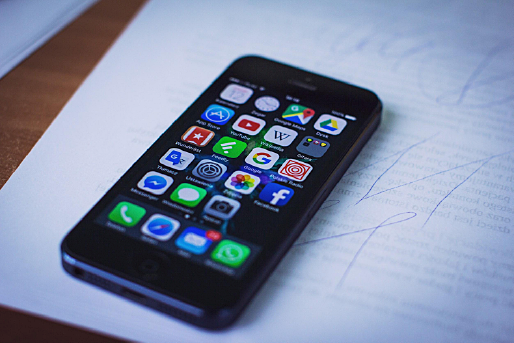 2 They are also referred to as iGen, eGen, Net-gen, and the Digitarians. Have never known a world without the Internet or cell phones. Tend to text instead of talk face to face. Require constant and immediate feedback. Are independent learners and self directed. Have a sense of entitlement. Make instantaneous plans and commitments. Smart! Able to process massive amounts of information and new knowledge quickly. Know that learning and new knowledge can be found ‘everywhere’, and so, may question the traditional hierarchical role of ‘knowledge holder’. Knowing and understanding our learners is foundational to supporting their educational success. With this in mind, it’s important to acknowledge that many of our Gen Z learners are currently being taught by Generation X teachers. As a Gen X mother, I have discovered the impact that life experience and possibly the generation gap has had on my ability to communicate effectively with my Gen Z teen. Regardless of our generation gap, sometimes I wonder if my teen and I are speaking different languages and live on different planets! Cynical, world weary and sceptical. Self sufficient, do things for themselves, handle problems on their own. So, with our similarities and differences in mind, it’s important to understand and acknowledge the impact this might have on a reciprocal learning relationship. The table below shares some general, (but not necessarily universal), characteristics of Gen X teachers and Gen Z learners, and also shares the possible implications those differences might have on learning. He sees his place in the future job market in a global sense. He’s concerned about the future of his language, culture, and identity, and sees it as everyone’s responsibility to revitalise and normalise Te Reo Māori. He knows learning is hard at times, but he has clear ideas about how he learns best, and what will help him to learn. His perception is everything. Whether his teachers like him or not is not necessarily the issue. What he perceives about those learning relationships absolutely is. What he believes about his relationships has a direct bearing on how he learns, and, in turn, his academic success. He really just wants to feel that his teachers like him, believe in him, want him to achieve, and will help him to do so. He wants to be inspired by teachers and he believes his engagement in new learning is directly linked to the way in which content is delivered, assessed, and how he engages with it. He sees technology as an essential enabler to his learning — simply a ‘given’. Taking all of this into consideration, I pose some provocations for us, as educators, and parents to consider. What are we all doing to ensure the survival of our indigenous languages, cultures, and identities?